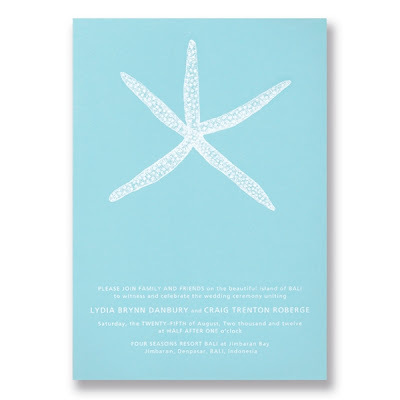 Celebrate your beach wedding and the ocean's blended tones of green and blue aquamarine with our Etched Starfish website and invitation. Matching Correspondence Cards are perfect for new couples stationery, too! 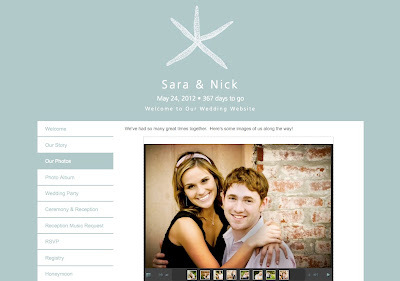 Beautiful invite - and what a great idea! !